By Word Of Mouth Property Services Ltd - Builder, Painter/Decorator based in Burgh Heath, Surrey. 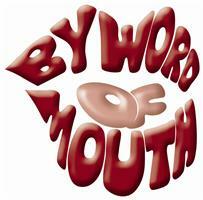 By Word Of Mouth is a building and refurbishing company established in 2002 by Stuart Collison and based in Epsom. We pride ourselves on the fact that we do no advertising, all of our work is as a result of referrals and recommendations. Our team consists of 8 skilled tradesmen who have been working together for 20 years. We also work closely in conjunction with architects and structural engineers, meaning that we can support and guide you through every stage of your building project from initial drawings, the planning application process, build and final handover. Our ethos is that we treat every project as if we were working on our own homes, we only take on one project at any time and won't leave until the customer is totally happy with our work.